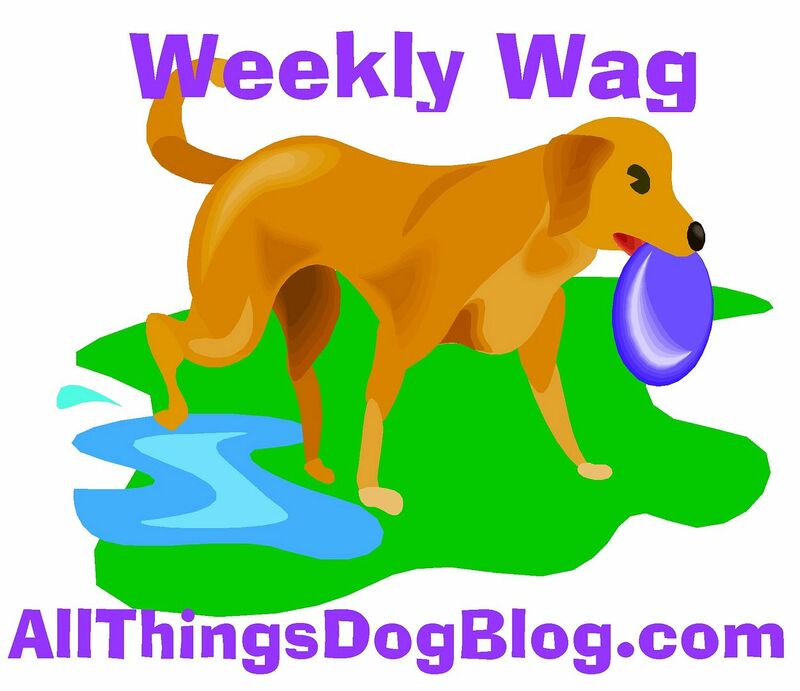 Mom is back from Blogpaws, the pet bloggers' conference. She says she had a great time learning lots to help her out with All Things Dog Blog. She met lots of other bloggers. Who'd of thunk? We spent our time at our favorite place to play: Bow Wow Resort. We have bunches of friends, indoor and outdoor play spaces, lots of shade, a splash pool, and more. Xena even enjoyed the senior citizen program. You know, rocking chairs and lots of shade. For now, though, we just want to sleep. 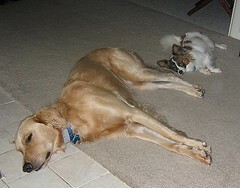 We're pooped from all that playtime at "camp." Mom is trying to help us out with our blog, but we said, "Talk to the paw!" G'nite.